Throwback Thursday is a weekly bookish meme hosted by Stephanie @Bookfever and Christina @Booksane where we feature books that we've read in the past but are still crazy about. It could be a book you read as a child and still remember and love or maybe just a book that you haven't read in a long time and want to show your love for. Each week we'll be featuring a new random question to answer! 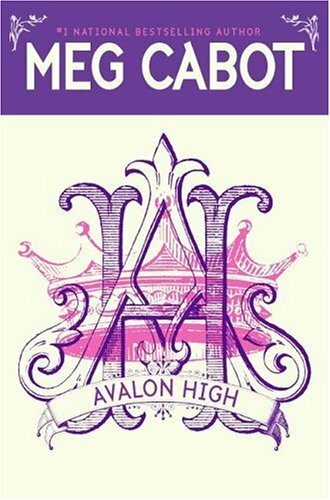 To newcomer Ellie, Avalon High seems like a typical American high school, complete with jocks, nerds, cheerleaders, and even the obligatory senior class president, quarterback, and all-around good guy. But it doesn't take Ellie long to suspect that something weird is going on beneath the glossy surface of this tranquil hall of learning. As she pieces together the meaning of this unfolding drama, she begins to recognize some haunting Arthurian echoes, causing her to worry that she has become just a pawn in mythic history. This was probably the first book I ever read by Meg Cabot (which was forever ago), and it's what first got me interested in myth re-tellings. It's a pretty short book but it's a fun and cute read. Do you read before bed? I try to read before bed if I can, plus it is one comfy place to read.